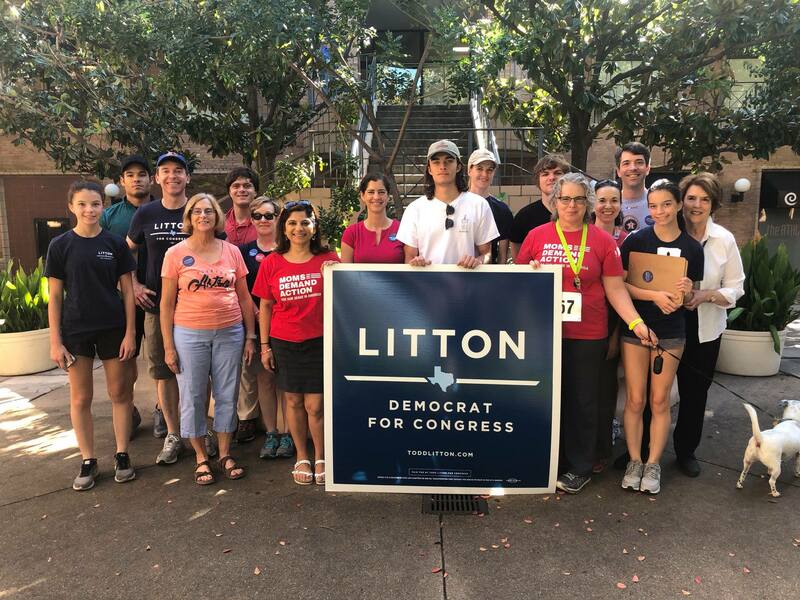 With just one month until Election Day, Team Litton is block walking with Moms Demand Action in Spring Branch! 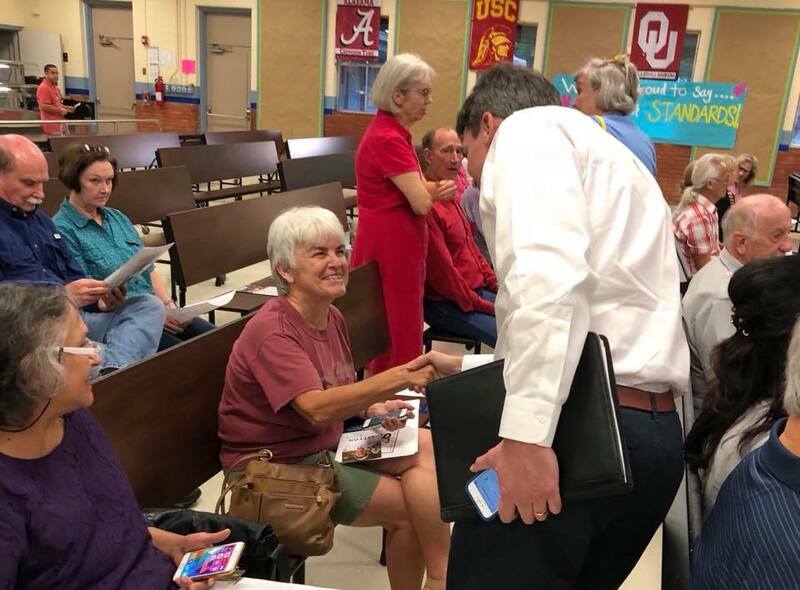 “I don’t care if you’re Republican or Democrat or Independent, we’ve got to work together to find real solutions to our region’s flooding.” — Todd at tonight’s Residents Against Flooding meeting in Spring Branch. 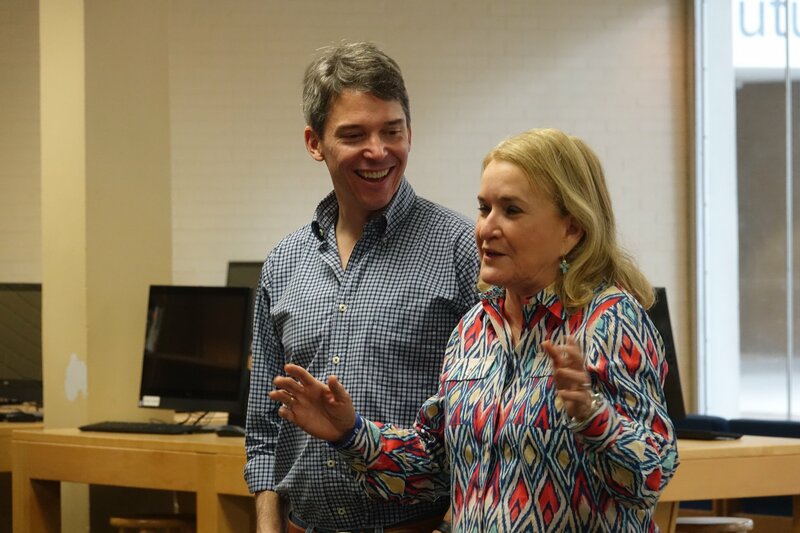 Excited to have the support of Sylvia Garcia as we get out the vote for the 2018 election! 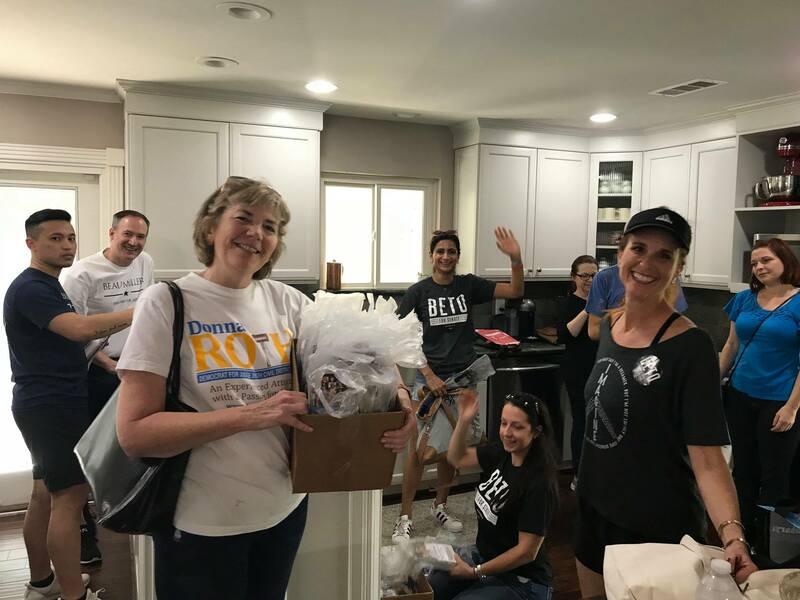 Thanks to everyone who joined us in Spring Branch. 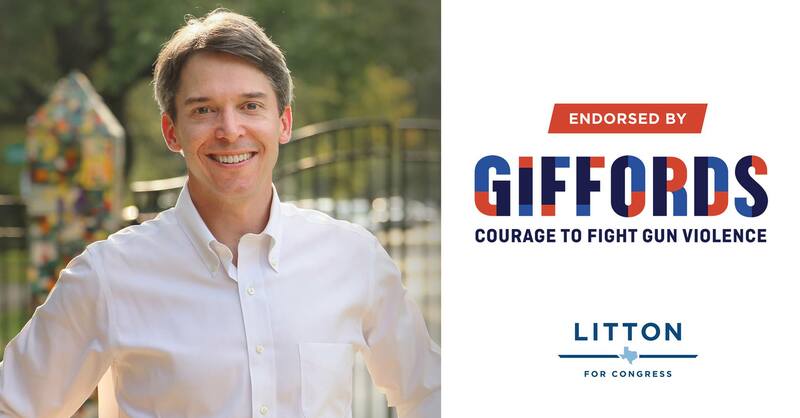 I’m proud to have earned the endorsement of Giffords, and I’m proud to stand for common sense gun safety laws. We must take action to build a safer community for our kids. 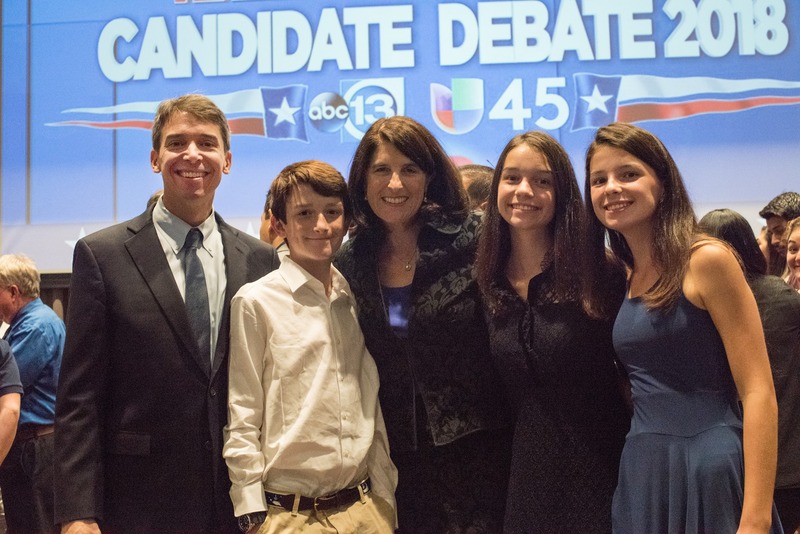 I loved sharing this moment with my family—thank you Jenn, Delia, Kate, and Jack for being by my side tonight. 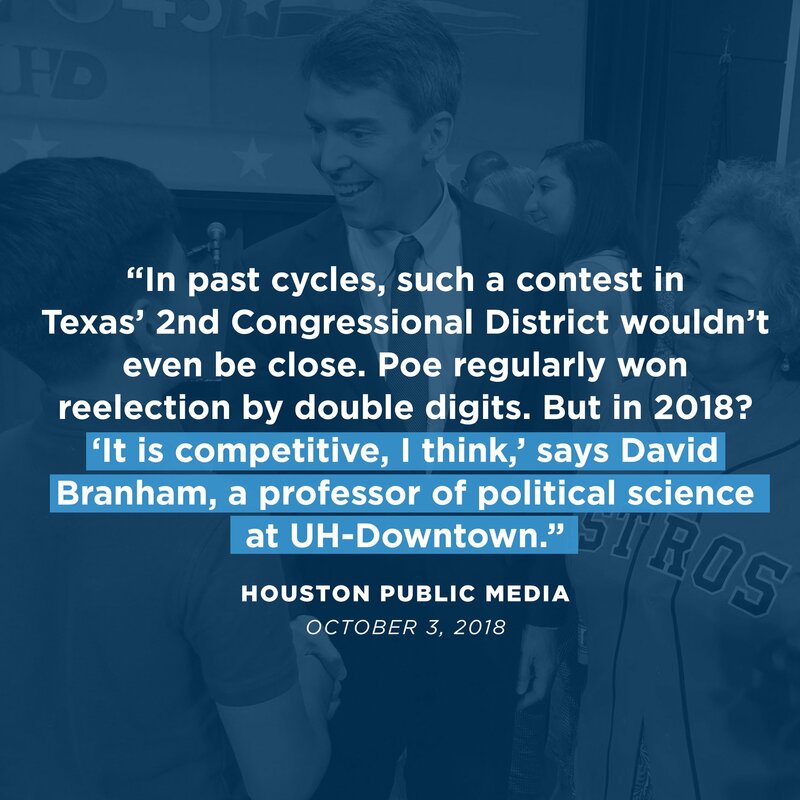 Missed the debate? Check out the highlights here. It’s National Voter Registration Day! Make sure your voice is heard. 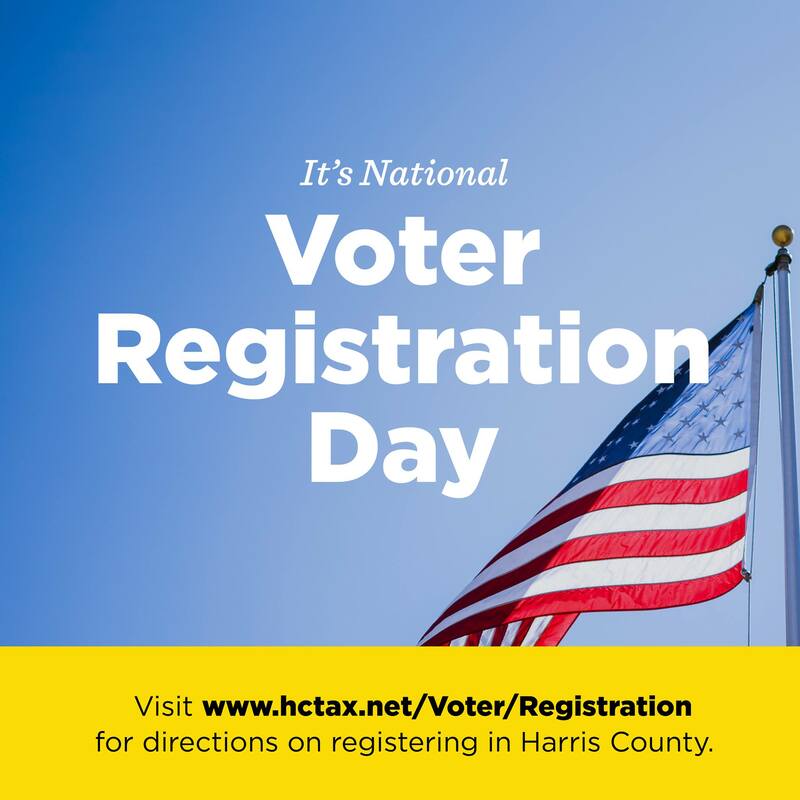 Visit www.hctax.net/Voter/Registration for directions on registering in Harris County. 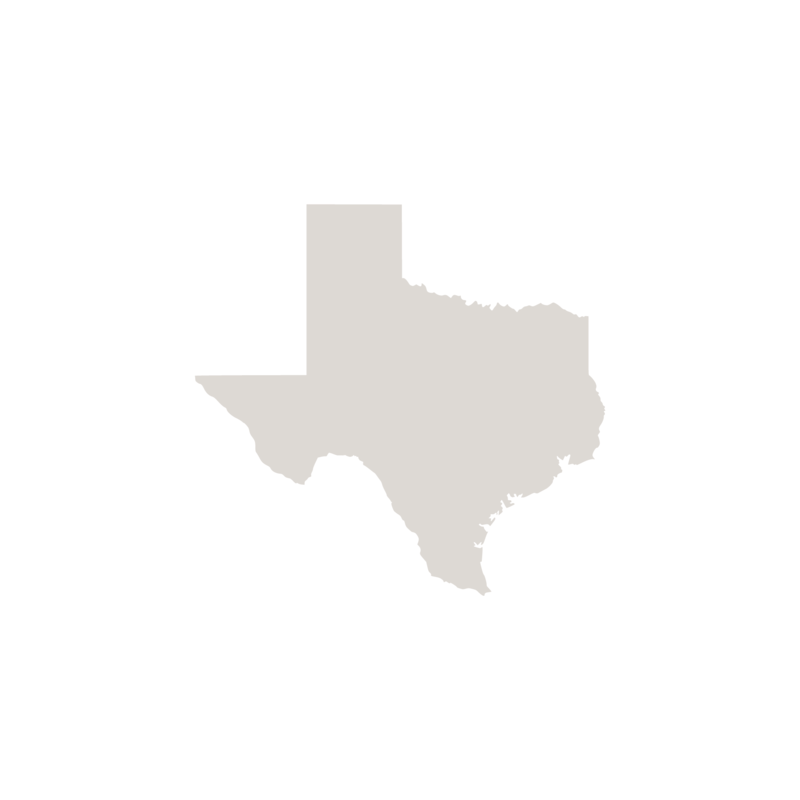 October 9 is the deadline to register for the November 6 Election. 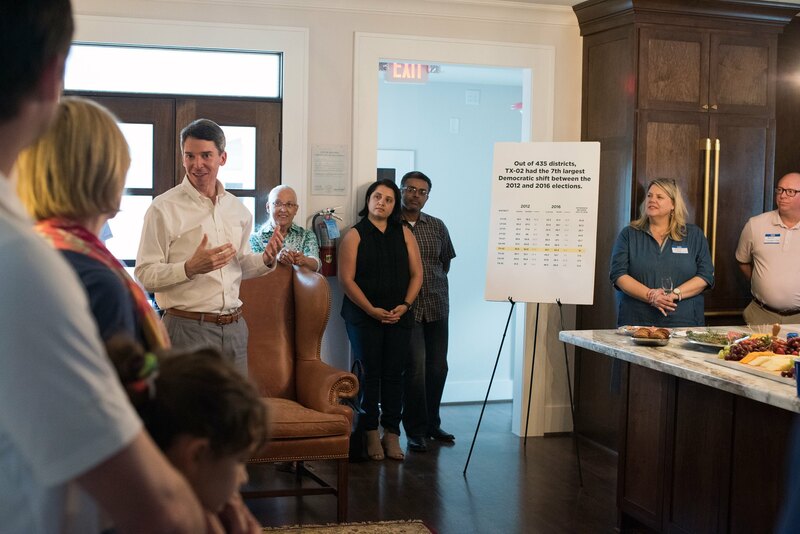 Enjoyed speaking with neighbors in The Heights about how we can bring the values of TX-02 up to Washington to get things done. 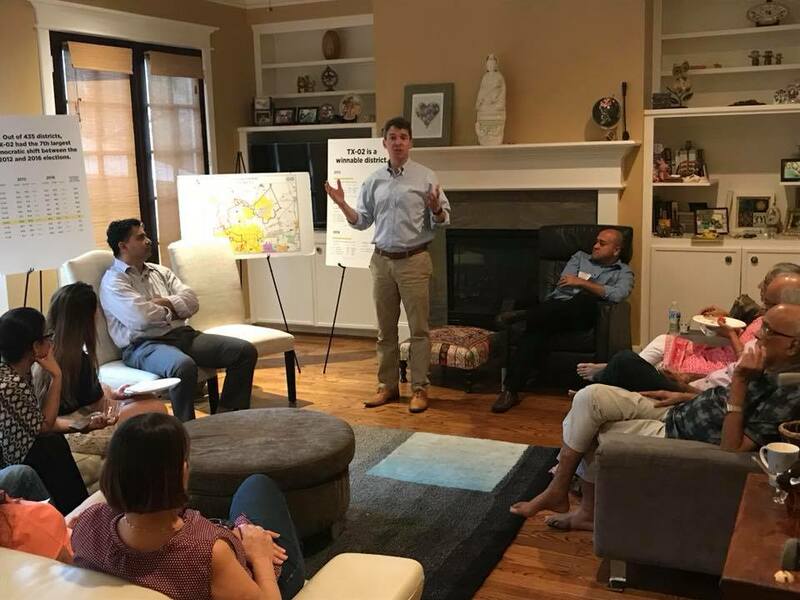 Enjoyed meeting friends and neighbors at the home of Dr. Shreela and Vibhu Sharma! Thank you for hosting us.